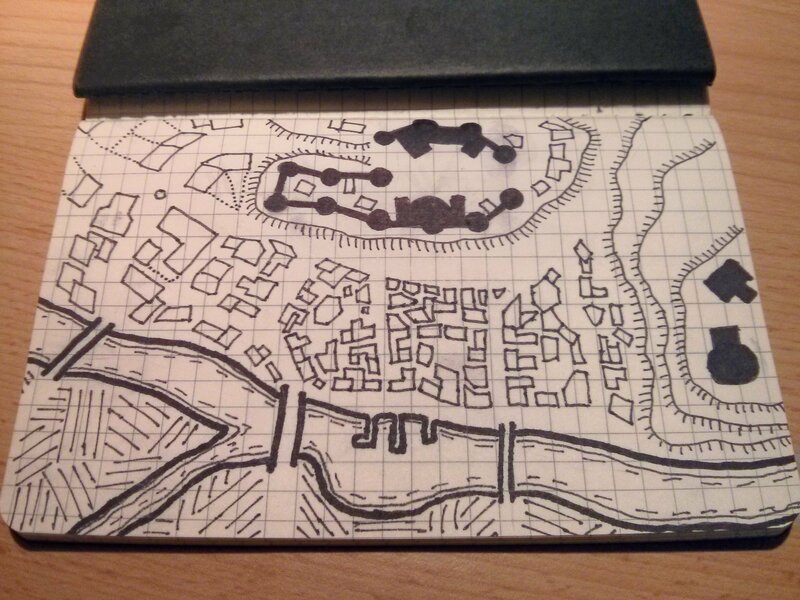 A town/city map this week. I’m not entirely convinced about this. 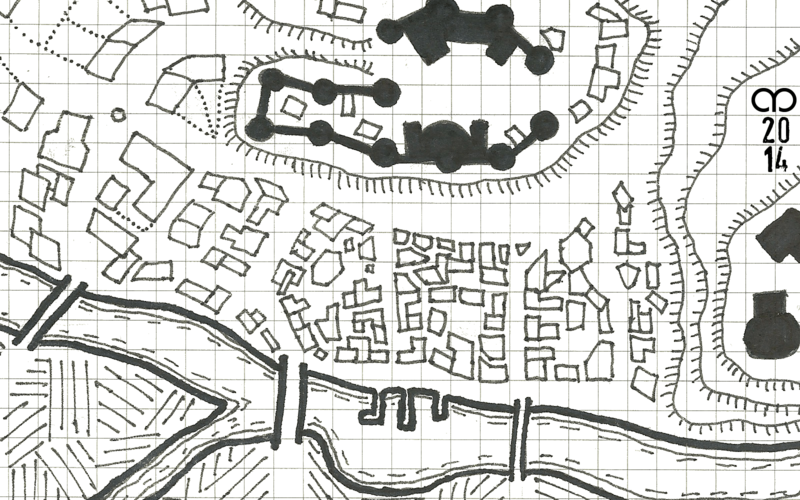 My exterior maps definitely need work. This particular map also shows that I need to work out a better way of cleaning up the scans as the original looks much better!